Here are the answers to yesterday’s quiz on out-dated bird names, as found in a 1988 US government report. 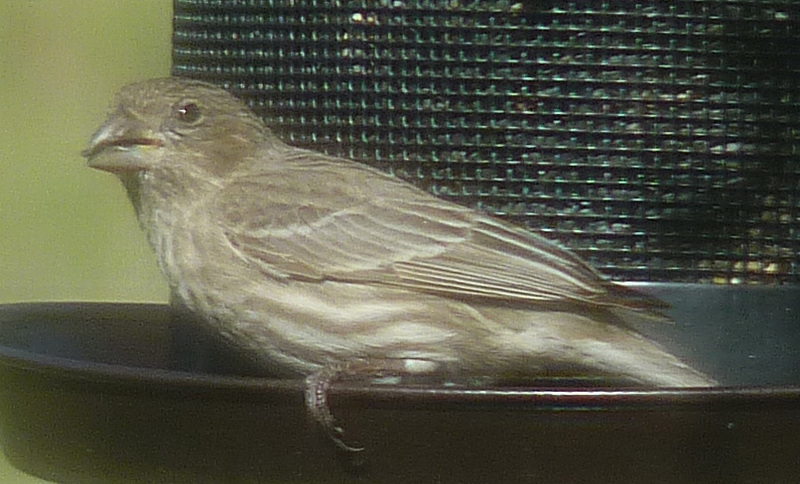 1 — burrion goes with picture E, the House Finch. (This is a female.) This term is interesting to me because when you look online you find it as burrión, a Spanish word for hummingbird. But Burridge’s Multilingual Dictionary of Birds of the World does back up burrion as a synonym for House Finch. Did someone adopt a Spanish word and incorrectly apply it to another species? Or was it assigned by someone who just meant “little bird” and didn’t really care about species differences? 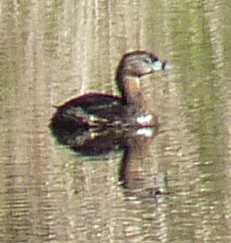 2 – dabchick goes with photo H, Pied-billed Grebe. 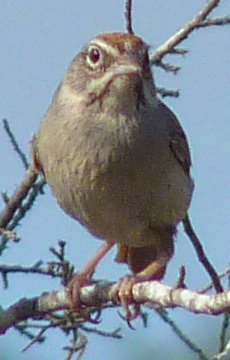 3 – Bouchard’s summer finch, goes with photo D, Rufous-crowned Sparrow. I know that a hundred years ago, “sparrow” and “finch” seem almost interchangeable terms in some of these old books. I haven’t been able to find out when they were split into two families. 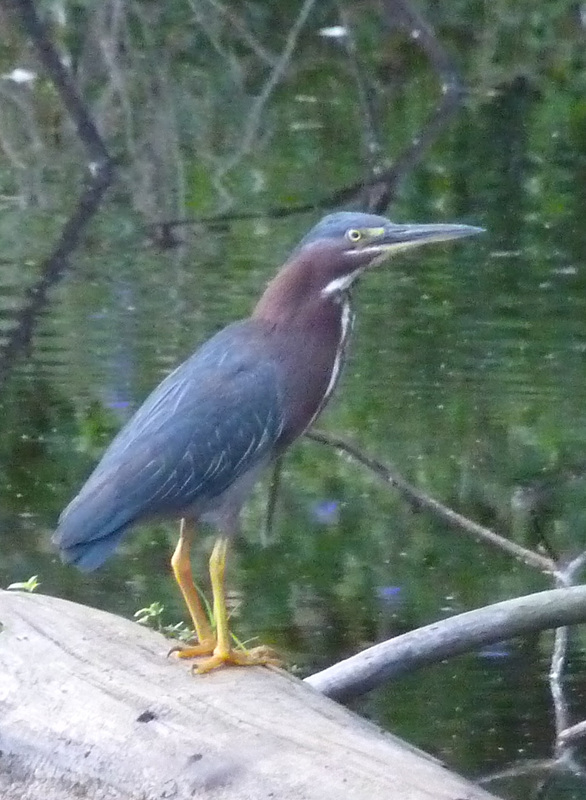 4 – fly-up-the-creek, goes with photo B, Green Heron. And in the 1988 report, that bird was referred to as Green-backed Heron, with about 5 other names considered obsolete. All the other egrets and herons I have seen fly up the creek if you get too close too, so I don’t know why that name was associated with this particular bird. 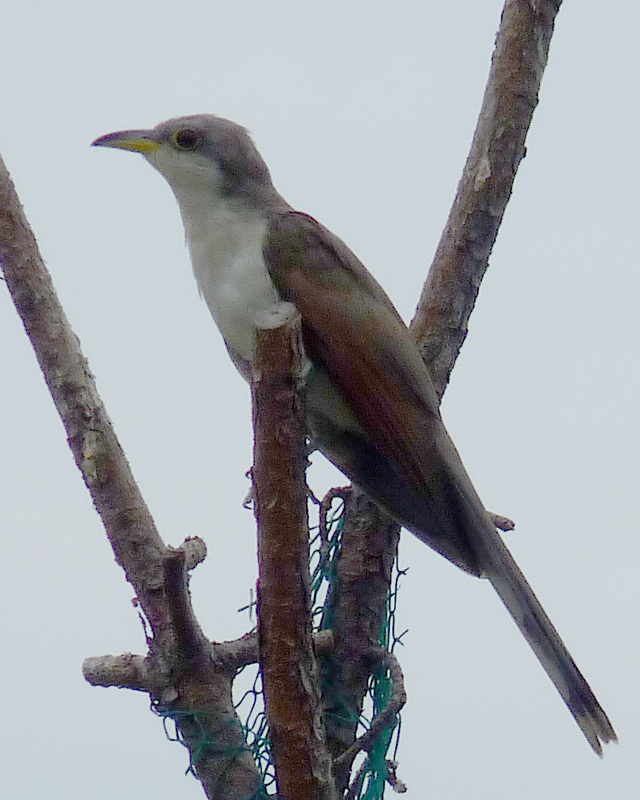 5 – raincrow, goes with photo A, Yellow-billed Cuckoo. Cuckoos are not in the crow family, but are in the family Cuculidae with the Greater Roadrunner and the Anis. I have only seen one in the seven years we have been here, and it rains all the time, so I just don’t know about that rain connotation. 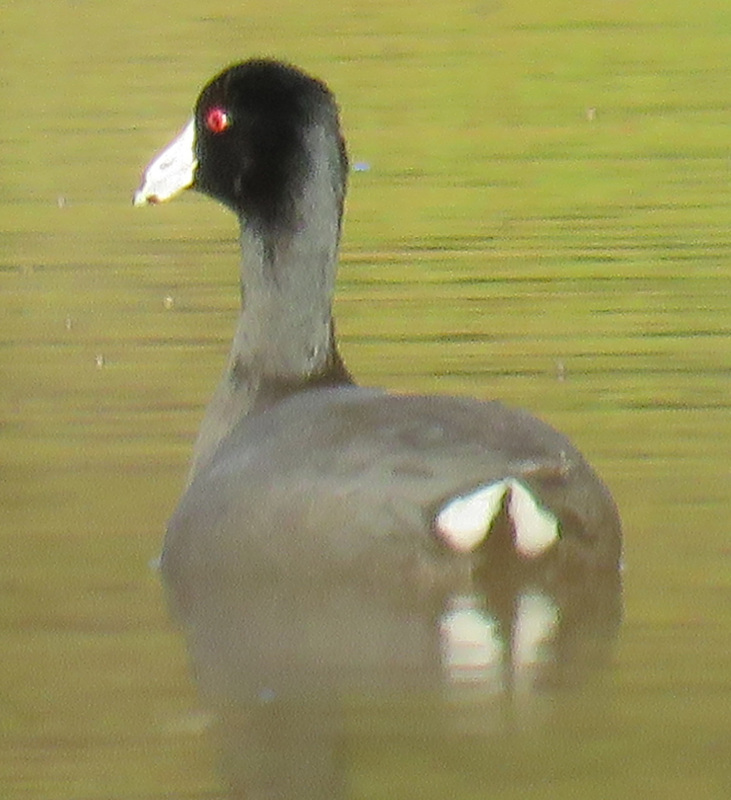 6 – mudhen, goes with photo I, American coot. 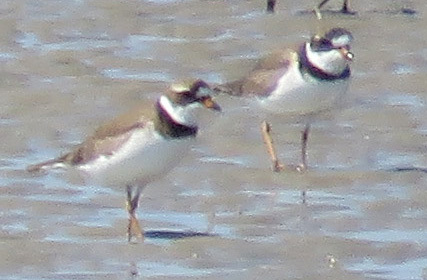 7 – oxeye, goes with photo C, Semipalmated Plovers. It also applied to Least Plovers. 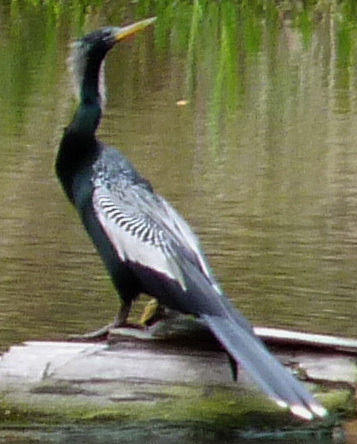 8 – snakebird, goes with photo J, Anhinga. The way these birds can swim with just their necks and heads sticking out of the water is a little unnerving. I’m not afraid of ordinary snakes, but when I see what looks like a snake with a giant spiky bill swimming across the pond, it gives me a start. Anhingas were also known as American Darters. 9 – telltale, goes with photo G. This is one of the two where I cheated a little bit. 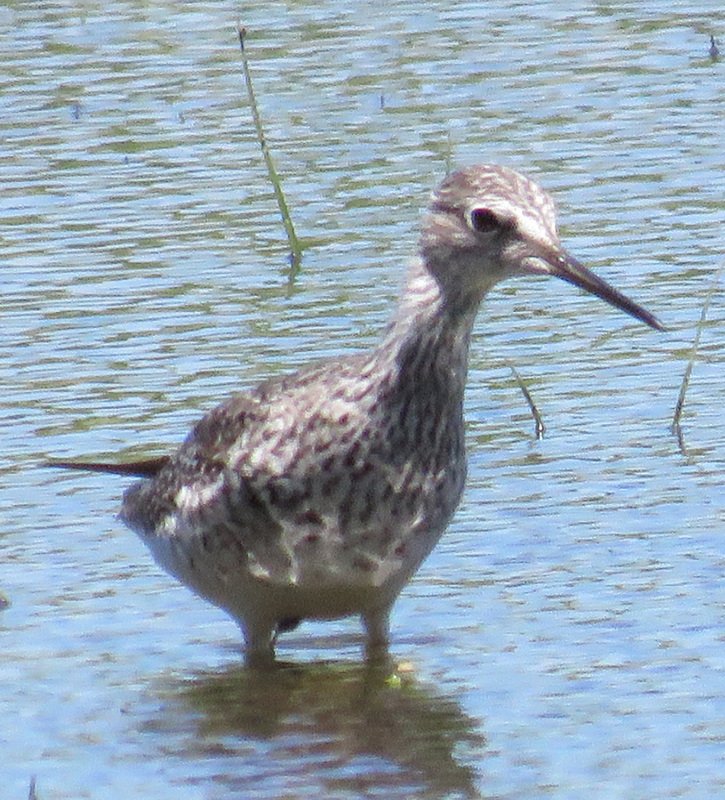 The name was given to Greater Yellowlegs and this bird is a Lesser Yellowlegs, but they are very close in appearance, and this is the one I had a photo of. Lesser Yellowlegs, standing in for Greater Yellowlegs. 10 – this has got to be one of the best bird names ever, and it goes with one of our favorite regional birds. The name given was twixt-hell-and-the-white-oak, and we know it today as Chuck-will’s-widow, for the sound it makes. It seems that old name was a more colorful way of expressing the bird’s call. So that was photo F, and this is the other one where I cheated a little, because I used a photo of a close relative called Common Nighthawk. 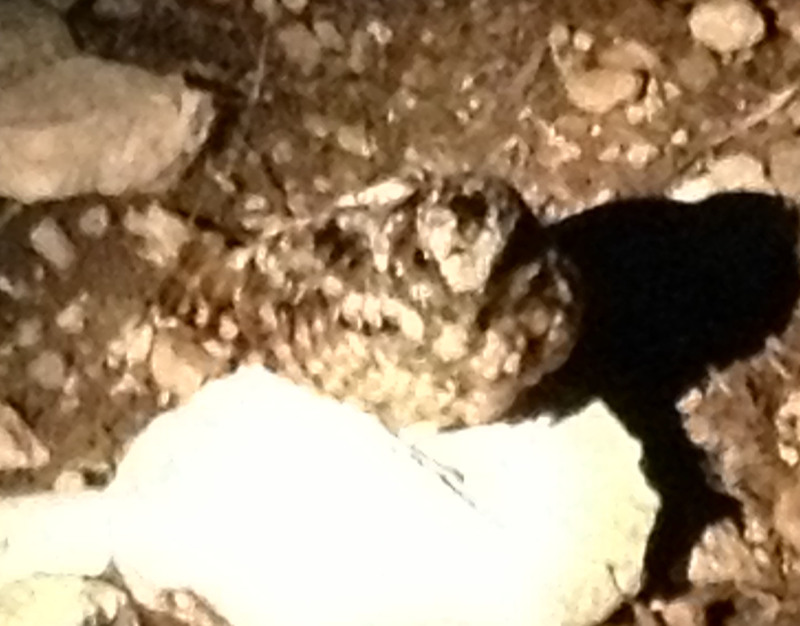 The truth comes out — this is Chuck-will’s-widow relative, Common Nighthawk. So, give yourself 10 points for every bird you matched correctly, and 20 points each if you recognized that I used stand-in pictures for Greater Yellowlegs and Chuck-will’s-widow. How did you do? I always feel so sorry for the individuals who “lost” their birds as names changed. Dickey’s Egret is now known as Reddish Egret, and Brewster’s Egret is the Snowy Egret. The new names are more descriptive but I still feel bad for Dickey and Brewster, whoever they were. Aren’t those old names wonderful? Science has its place but I like the traditional names best. I should have done one of those “if you got this many point, you are a ….” sections! I didn’t think of it. I’m sure 20 points is more than I would have gotten — I would have expected “grass finch” to actually be a finch, for one thing. I never knew before that people (at least laypeople) lumped sparrows and finches together. Google?! I’m shocked! You were supposed to figure it out on your own!